Mike Soules is President of Corwin, the leading provider of innovative professional services and publications for P-20 educators. Corwin is committed to collaborating with schools, districts and departments/ministries of education to deliver training and tools that build capacity, are evidence based and have a positive change on instructional practice. Through long-term partnerships with authors, policy makers and associations Corwin sits at the nexus of research to practice and practice to research. Mike is most proud of the talented and dedicated all-star team that help bring Corwin’s work to life every day. 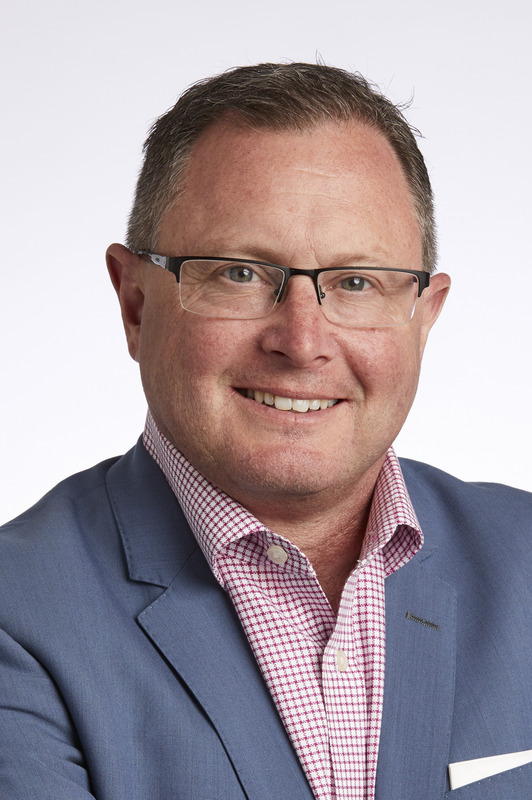 Mike has held senior leadership roles at the Channel One Network, Laureate, and Teachscape. The through line of his career has been pioneering unique platforms to provide meaningful and impactful content that educators need and want. He serves as Regent of California Lutheran University, President of the Conejo Schools Foundation, and former Chair of the Ventura County Workforce Development Board. Mike has a B.A. in Political Science and a B.A. in History from the University of California, Los Angeles – Go Bruins! Lisa Shaw, Senior Vice President and Managing Director, U.S.
Lisa is Vice President, Publishing and Professional Learning, guiding Corwin’s broad-reaching onsite, online, and offsite (event) professional learning services in close coordination with our print and digital publishing program. Through the development of intentionally designed solutions, Corwin remains committed to providing our teachers, teacher leaders, educational administrators, and whole institutions with the content, products, and services needed for sustained professional learning. Lisa has been in academic and educational publishing for nearly 20 years, beginning her career with SAGE Publications, Corwin's parent company, which is a leading international publisher of journals, books, and electronic media. She has held various managerial positions in production, journals acquisitions, and book acquisitions, including heading up SAGE's hallmark programs in Research Methods, Evaluation, and Business and Management. Lisa is a Southern California native who did not stray far for her education or career. She earned her BA in English from the University of California, Los Angeles and her MBA with emphasis in Management and Organizational Behavior from California Lutheran University. Her publishing career has led her to pick up various hobbies and activities along the way: running (the easiest way to get to know a city when traveling), making wine (all good book ideas have been developed over a meal with good wine), caring for her dachshunds (98.5% of publishers are dog-lovers), and perhaps her greatest acquisition yet, meeting and marrying her husband, John, who also has a long tenure in academic publishing. Elena Nikitina is Vice President of Marketing and Channel Development at Corwin. She came to Corwin with 20 years of experience in the fields of marketing, publishing, and education. Previous to Corwin, Elena was Executive Director of Marketing at SAGE, Corwin's parent company focused on higher education books, journals, and reference works. During her 14 years at SAGE, she had overseen SAGE Journals and Textbooks Marketing programs as well as the Journals Circulation and Customer Service departments. Elena started her career in education as a teacher of English at a middle school and later became a professor of English. She was also the founding director of an English language school in Russia. Elena holds a graduate degree in education and MA in communications and TESL/TEFL certification from Wheaton College. Dave has invested nearly two decades in professional and academic publishing and related professional service businesses with companies including Thomson Reuters, Highlights and Houghton Mifflin Harcourt. He found his passion within these business where information and professional practice intersect to inspire lifelong learning and development. That led Dave to focus his energy in PreK-12 professional publishing and consulting services where he has managed the sales and service functions for companies including Staff Development for Educators and The Leadership and Learning Center. He joined the Corwin Executive Team in early 2015 with the charter to drive growth in client acquisition, engagement and impact. Dr. Sonja Hollins-Alexander is the Director of Professional Learning for Corwin Publishing. She has been in the field of education for 24 years with 18 of those being in educational leadership at the school, district and higher education levels. 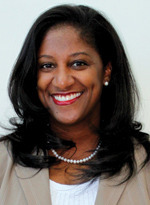 During this time, she has served as a school social worker, teacher, assistant principal, principal, coordinator, director of professional learning, and chief of staff in two Metro Atlanta, GA school districts. She continued her profession beyond K-12 as a Sr. Consultant for professional development firms and independently. She has also served on numerous United Way non-profit boards and most recently served as the board president for Learning Forward, GA. She currently serves on the National Affiliate Leadership Council for Learning Forward. Through her professional journey she has had experiences in Strategic Planning, Policy Development, Stakeholder Communication and Engagement, Instructional and Curriculum Design, Facilitation of Adult Learning, Executive Coaching, Conference Facilitation and Design, and served on numerous Quality Assurance Teams with AdvancED. She is fully engaged in the development and use of Online Collaborative/Instructional Software. She is the author of Online Professional Development through Virtual Learning Communities, Corwin Press. Sonja has advanced degrees from the University of Georgia, Georgia State University and Argosy University, Atlanta. As the Director of Professional Learning for Corwin, Sonja is committed to partner engagement and the design and implementation of sustained professional learning services that positively impact teaching and learning.